The article, still unanswered, to the Premillennialist Argument and the Millennium. The Millennium is the core argument in determining the validity of the system. 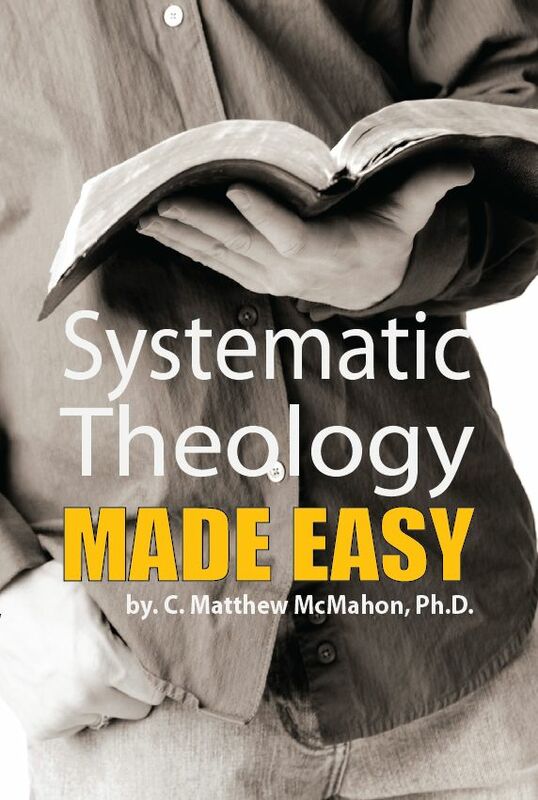 If that aspect of a theological system in eschatology goes under, the system itself goes under. Fowler White gives a great critique on this in view of the Millennium chapters of Revelation. Those who are familiar with the various evangelical formulations of biblical eschatology know well that a debate has long raged over the contribution that Rev 20:1–10 should make to those formulations. Of course, there have been several issues of significance in that debate, but one of the most critical has been how the visions of Rev 20:1–10 relate to those of Rev 19:11–21 . Generally speaking, those who have given answers to this question have fallen into one of two groups. On the one hand are those who have seen the relationship as one of chronological progression. Within this group, a minority (most of whom are postmillennialists) have interpreted 19:11–20:10 as a description of events from the interadvent age ( 19:11–20:6 ) up through the second coming ( 20:7–10 ), but a large majority (all of whom are premillennialists) have viewed the visions as an account of events associated with the second coming (19:11–20:3 ), a subsequent interregnum ( 20:4–6 ), and a judgment of Satan and the nations following that interregnum (20:7–10). On the other side of the question are those who have seen the relationship between 19:11–21 and 20:1–10 as one of recapitulation. This group (all of whom are amillennialists) has understood the visions of 20:1–6 as a description of events associated with the first advent and the interadvent age, while treating the vision of 20:7–10 as a depiction of the second advent parallel to the account in 19:11–21. To date, scholarly exchange between these two groups has achieved little more than a delineation of their differences and, in fact, the most recent contributions amount to no more than hackneyed recitations of old arguments. If the state of the debate over the relationship between Rev 19:11–21 and 20:1–10 is as I have described it, one might well ask whether it can be reinvigorated and, if so, how. I believe the debate can be reinvigorated and I believe it can be done by reexamining the evidence for recapitulation in Rev 20:1–10 . In the past, advocates of recapitulation have tried to make their case by showing that the principle of recapitulation affects the interpretation of Revelation in general and therefore must affect the interpretation of Rev 20:1–10 in particular. As valuable as this hermeneutical insight is, it has ultimately failed to convince advocates of progression, not the least because the evidence it yields is simply too general to sustain the thesis in question. It remains therefore for advocates of recapitulation to reexamine the evidence for their position and to develop a stronger, i.e., more specific, case for it. In what follows I propose to develop that stronger case by advancing three specific arguments in favor of recapitulation in Rev 20:1–10 . Those arguments are (1) the discrepancy between the events depicted in Rev 19:11–21 and Rev 20:1–3 ; (2) the recapitulation of Rev 19:11–21 in Rev 20:7–10 ; and (3) t} e motif of angelic ascent and descent in Revelation. Having thus reexamined the evidence for recapitulation in Rev 20:1–10 , I hope to have injected some new life into the discussion of how Rev 20:1–10 relates to Rev 19:11–21 . The case for recapitulation in Rev 20:1–10 rests initially on the observable discrepancy between the events depicted in 19:11–21 and 20:1–3 when those visions are read as a historical chronicle, i.e., when they are read as if the order of their presentation in the text represents the actual progress of history. Before spelling out that discrepancy in more detail, we should note that advocates of a progression approach to 19:11–20:10 do indeed read the passage as a virtual historical chronicle. They insist that, beginning with 19:11 and extending at least through 20:10 , John records a series of visions that are prima facie chronologically sequential. To be sure, this prima facie reading of John’s visions varies radically depending on the postmillennial or premillennial viewpoint adopted by the interpreter (see introduction). My focus here is on an assumption common to both viewpoints, viz., the supposed coherence of the events depicted in 19:11–20:3 when they are read as a historical chronicle. An analysis of this assumption is highly significant, for, given the clear indications of progression in 20:1–10 , all arguments in favor of progression in 19:11–20:10 have no force unless the logical coherence of 19:11–20:3 can be presumed. The contention that there is a discrepancy in a chronological approach to 19:11–20:3 is based on the observation that reading the events of 19:11–21 and 20:1–3 in historical sequence does not yield a logically coherent picture. The incongruence of 19:11–21 and 20:13 surfaces when we consider that 20:1–3 describes actions taken to prevent Satan’s deception of the very nations who had just been destroyed in 19:19–21 as a result of their deception by Satan ( 16:13–16 ). In other words, the discrepancy consists in this: it makes no sense to speak of protecting the nations from deception by Satan in 20:1–3 after they have just been both deceived by Satan ( 16:13–16 , cf. 19:19–20 ) and destroyed by Christ at his return in 19:11–21 (cf. 16:15a , 19 ). As we might expect, those who take a progression approach to 19:11–20:10 have different ways of dealing with the discrepancy just described. Postmillennialists appear to avoid the problem altogether by denying that Christ’s return is in view in 19:11–21. As they see it, Christ’s destruction of the nations in 19:11–21 is a symbolic portrayal of his conversion of the nations by the sword-word of the gospel (cf. Eph 6:17 ) during the interadvent period. Complementing this exegesis of 19:11–21 , the angel’s imprisonment of the dragon in 20:13 is treated as a symbolic portrayal of actions taken to prevent Satan’s deception of the nations so that Christ may indeed “destroy” (i.e., convert) them during the interadvent age. Within the postmillennialists’ understanding of 19:11–20:3 , then, the discrepancy described above never materializes. But does the postmillennial interpretation of 19:11–20:3 really help us with the discrepancy between 19:11–21 and 20:1–3 ? My conclusion is that it does not because it is not exegetically convincing. This opinion is borne out by the following observations. First and most importantly, the key to the postmillennial solution is the exegesis of 19:11–21 and it is precisely here that the solution fails to prove its worth. Postmillennialists base their exegesis of 19:11–21 principally on their understanding of how the recapitulation principle operates in the book of Revelation. Specifically, they say “the structure of the book is such that it returns at the opening of each of its seven sections to the first advent, and gives in the course of each section a picture of the whole interadventual period.” Thus, as the opening sequence in Revelation’s last cycle, the visions of 19:11–21 return to the setting of the first advent and give us a picture of events that follow thereafter. A complete response to this feature of the postmillennialists’ approach would require a rehearsal of the considerations to be taken up below in connection with the recapitulation of 19:11–21 in 20:7–10 . In anticipation of that argumentation, suffice it to say at this point that the visions of 19:11–21 do not in fact return to the first advent, but are demonstrably parallel to the visions of the second advent in 6:12–17 ; 16:12–21 ; and 20:7–10 (11). In other words, we shall see that the postmillennialists’ understanding of the way recapitulation applies to the exegesis of 19:11–21 is not supported by the textual evidence. In addition to the factors to be discussed, the postmillennial proposal is also vulnerable to a second kind of criticism. As previously noted, postmillennialists appeal to the principle of recapitulation in Revelation to establish their view of 19:11–21 . My quarrel here is not with the relevance of recapitulation for the interpretation of 19:11–21 . My quarrel is with the postmillennialists’ neglect of the extent to which recapitulation must come into play in their interpretation of 19:11–20:3 . Yes, they appeal to recapitulation when they explain 19:11–21 . But the fact is they must also appeal to it when they explain how 19:11–21 relates to 20:1–3 . That is, as long as postmillennialists maintain that the nations’ protection from deception in 20:1–3 makes possible their destruction-by-conversion in 19:11–21 , the events of 20:1–3 must logically precede the events of 19:11–21 . Therefore, even if we follow the postmillennialists’ particular approach to progression in 19:11–20:10 , we will have to invoke the principle of recapitulation not only to interpret the events of 19:11–21 , but also to explain the chronological relationship between the events of 19:11–21 and those of 20:1–3 . We turn now to the premillennial solution to the discrepancy between 19:11–21 and 20:1–3 . Perhaps the most striking feature of the discussions of 19:11–20:3 among premillennialists is that a few of them do in fact recognize the discrepancy we have described. To be sure, they believe the problem more apparent than real, but at least they have noticed it. So how do premillennialists who have noticed the discrepancy in their construal of 19:11–20:3 propose to deal with it? As best as can be determined, the only attempt to solve the problem has been to posit that the nations of 20:3 are survivors of the battle in 19:19–21. This postulate, however, is transparently gratuitous, for it derives its force, at least in part, from the very point in question, viz., whether the order in which the visions of 19:11–20:3 are presented reflects the sequence in which the events depicted there will occur in history. It must be kept in mind that the order of the visions in Revelation need not reflect the historical relationship of the events in those visions; it need only reflect the sequence in which John has presented the visions he received. Any historical relationship among the visions must be demonstrated from the content of the visions, not simply presumed from the order in which John presents them. The discrepancy discussed above is one indication that the order in which John presents the visions of 19:11–20:3 cannot be, as premillennialists would have it, reflective of the sequence in which the events depicted there will occur in history. There is also contextual evidence that would seem to preclude the premillennialists’ claim that the nations of 20:3 are survivors of the battle in 19:19–21 . In 19:18–21 , John’s narration emphasizes the completeness and finality of Christ’s victory by describing his enemies in all-inclusive terms: all the nations will have taken up arms against the Divine Warrior and all will fall by his sword in the final confrontation (N.B. 19:18 , 21 ; cf. 12:5 ; 19:15 ). If any are to survive the day of Christ’s coming (cf. 6:17 ), they will be able to do so precisely and only because they have been redeemed from among the nations and placed within the Divine Warrior’s kingdom-protectorate ( 5:9–10 ; cf. 3:10 ; 20:9 ). There is thus evidence in the immediate and broader context of 19:11–20:3 indicating that the premillennialists’ explanation of the apparent discrepancy between 19:11–21 and 20:1–3 is inadequate. When therefore we discover that the events depicted in 19:11–20:3 do not logically cohere and that attempts to explain their coherence in terms of chronological progression are unconvincing, the credibility of a chronological progression approach to 19:11–20:10 suffers considerably. Seeking an alternative, our thoughts turn naturally enough to a recapitulation approach to 19:11–20:10 . To this point in our discussion, the issue we are addressing in this article has been stated only in a general way. But since under this new heading we have occasion to sharpen our focus, we shall now make our concern specific. Others who have considered the interpretation of 19:11–20:10 have posed the question this way: “Does this section indicate a chronological progression from beginning to end, or does 20:1–6 recapitulate details in the book given before 19:11?” Without depreciating the need to discuss the relationship between 20:1–6 and the visions preceding 19:11 , this way of phrasing the question focuses only on the possibility of recapitulation in 20:1–6 , ignoring the possibility of recapitulation in 20:7–10 . Since we must also reckon with this latter possibility, we may rephrase the question as follows: does 19:11–20:10 indicate a chronological progression from beginning to end, or does 20:7–10 recapitulate 19:11–21 (and its parallels)? The following considerations will indicate plainly that 20:7–10 does indeed recapitulate 19:11–21 and its parallels, especially the parallel in 16:12–21. Thus, it will emerge that both the premillennialist and the postmillennialist interpret 19:11–20:10 in a way that falters in the face of the exegetical evidence. Before we turn directly to the evidence for recapitulation in 20:710, we must first deal with an exegetical point of particular interest to premillennialists. That point concerns the indication of chronological progression found in the καταν (“and when”) clause that begins 20:7 . Clearly, this temporal clause indicates that the events of 20:7–10 are historically subsequent to the events in the visions preceding 20:7 . But it is equally clear that the phrase does not tell us conclusively whether this historical relationship applies to all the visions preceding 20:7 or to some of them. Only the content of the visions preceding 20:7 can provide conclusive evidence of their historical relationship to 20:7–10 . While acknowledging elements of truth in the comments just made, premillennialists believe they have found evidence that καταν clause signals progression within the visions of 19:11–20:10 . That evidence is the clause που κατ θηρον κα ψευδοπροφήτης in 20:10 . According to premillennialists, this clause shows that, when the devil is finally cast into the lake of fire in 20:10 , the beast and the false prophet are already there as a result of the events that transpired in 19:20 . In other words, premillennialists insist that, since 20:10 assumes the presence of the beast and the false prophet in the lake of fire ( 19:20 ), the ταν of 20:7 can only be interpreted as a signal that progression is at work within the overall sequence of chaps. 1920. But is this the only possible interpretation of 20:10 ? It is not. For, if on other grounds one can show that 20:7–10 is a recapitulation of 19:11–21 , then the content of 20:10 need only imply that at the second coming the devil is cast into the lake of fire shortly after the beast and the false prophet are cast there. The content of 20:10 is therefore simply not precise enough to preclude the possibility that recapitulation is at work within the overall sequence of 19:11–20:10 . To certain considerations favoring that possibility we now turn. We begin discussing the recapitulation of 19:11–21 in 20:7–10 by observing that in both 19:17–20 and 20:7-10 John alludes to Ezekiel 38–39 . In 19:17–18 an angel issues an invitation to the great supper of God at Armageddon. The angel’s message is virtually a verbatim quotation of the invitation issued for the Gog-Magog crisis in Ezekiel’s prophecy ( 39:17–20 ). But in 20:7-10 John draws again on Ezekiel’s Gog-Magog prophecy when he identifies (I) the nations who rebel after the millennium as “Gog and Magog” ( 20:8 ; see Ezek 38:2 ; 39:1 , 6 ) and (2) the weapon God uses to destroy Gog-Magog as fire from heaven ( 20:9 ; see Ezek 38:22 ; 39:6 ). What has John done here? In short, he has based his description of both the Armageddon revolt ( 19:17 21 ) and the Gog-Magog revolt ( 20:7–10 ) on the same prophetic passage, viz., Ezekiel 38–39 . The bearing of the preceding observation on the case for the recapitulation of 19:11–21 in 20:7–10 is as follows. If John expected us to interpret the revolts in Revelation 19 and 20 as different episodes in history, we would hardly expect him to describe them in language and imagery derived from the same episode in Ezekiel’s prophecy. On the contrary, John’s recapitulated use of Ezekiel 38–39 in both 19:1721 and 20:7–10 establishes a prima facie case for us to understand 20:7–10 as a recapitulation of 19:17–21 . If 20:7–10 is indeed a recapitulation of 19:17–21 , then 20:7–10 narrates the demise of the dragon (Satan) at the second coming, while 19:17–21 narrates the demise of the beast and the false prophet at the second coming. Any other interpretation of how to relate these two judgment scenes, both of which are modeled on Ezekiel 38–39 , will have to bear the burden of proof. Before we leave this discussion of the use of Ezekiel 38–39 in 19:1721 and 20:7–10 , we should also notice John’s use of Ezek 38:18–22 in 16:17–21. The combination of earthquake, hailstorm, and God’s judgment of the nations is apparently unique in the OT to Ezek 38:18–22 and has evidently made its way into John’s narration in 16:17–21 . The features of Ezek 38:18–22 can be seen in 16:17–21 as John links the earth-shattering quake (vv 18 , 20 ; Ezek 38:19–20 ) with the collapse of all the world’s cities (v 19 ; cf. Ezek 38:20 ) and a plague of hailstones (v 21 ; Ezek 38:22 ). When we remember that 19:19–21 concludes the plot line begun in 16:12–16 and thus parallels 16:17–21 , we are not surprised to see John highlighting the connection between 16:17–21 and 19:11–21 by painting them both with colors from the palette of Ezekiel 38–39 . In fact, as we reflect on John’s use of Ezekiel’s prophecy in the chronologically linked scenes of 16:17–21 and 19:17–21 , we can see that it provides corroboration for what he does with the same prophecy in 19:17–21 and 20:7–10 . Specifically, as John’s recapitulated use of the Gog-Magog material in 16:17–21 and 19:17–21 builds on the chronological parallelism of those visions, so John’s recapitulated use of that material in 19:17–21 and 20:7–10 implies the chronological parallelism of 19:17–21 and 20:7–10 . The preceding considerations speak with telling force against the postmillennial and premillennial interpretations of 19:11–20:10 . Postmillennialists, of course, readily affirm John’s reference to Christ’s second coming in 20:7–10 but vigorously deny it in 19:11–21 . John’s use of Ezekiel 38–39 in 19:17–21 as well as 20:7–10 argues strongly for seeing a reference to the second coming in both passages. On the other hand, premillennialists notice John’s appeal to Ezekiel 38:39 in both 19:17–21 and 20:7–10 and end up debating whether Ezekiel 38–39 is to be fulfilled before and/or after the millennium. But, of course, on the assumption of progression in 19:11–20:10 , John’s use of the prophecy supports any such view. Better premillennialists should consider the alternative of recapitulation than try to end the debate under these circumstances! Clearly, then, John’s use of Ezekiel 38–39 in 16:17–21 ; 19:17–21 ; and 20:7–10 confounds the progression approaches of both the postmillennialist and the premillennialist. Since the preceding prima facie reading in favor of synchronizing 19:11–21 and 20:7–10 could be deceiving, we should press for confirmation of our initial impression. With that aim in mind I come to my second observation. That observation concerns the designation of the international campaign against Christ and his people as “the battle” (or “war”) not only in 16:14 and 19:19 , but also in 20:8 . The presence of the definite article with the noun in the original text of 19:19 and 20:8 should be noted. Since it is widely agreed that 19:19–21 resumes and concludes the plot line begun but dropped in 16:12-16, none should doubt that “the battle” in 19:19 is “the battle” previously referred to in 16:14 . The definite article in 16:14 ( “the battle of the great day of God Almighty”) and in 19:19 (preferably, “to wage the [their or that] battle …”) draws attention to the distinctive identity of τν πόλεμον (“the battle”) as the final battle at Christ’s return. But what about the noun’s appearance in 20:8 ? Two features of John’s narration in 20:8 stand out to confirm that the noun refers to the battle in 16:14 and 19:19 . We notice first that John again uses the definite article with the noun τν πόλεμον in 20:8 . If we compare the significance of the article’s presence in 16:14 ; 19:19 ; and 20:8 with its absence in the noun’s remaining occurrences ( 9:7 , 9 ; 11:7 ; 12:7 , 17 ; 13:7 ), an interesting pattern emerges. When πόλεμος appears without the article, it designates the activity of warfare in general. But when it appears with the article, the noun refers to a specific episode of war. Most certainly in 16:14 and 19:19 , πόλεμος refers to the battle at Christ’s return. When we see the noun πόλεμος with the definite article in 20:8 , the article’s presence makes it all but impossible to avoid the conclusion that the battle mentioned in 20:8 is the one previously described in 19:19 and in 16:14 . This observation is made all the more impressive when we notice that 16:14 ; 19:19 ; and 20:8 contain the last three uses of the noun πόλεμος in Revelation and, at that, the only uses accompanied by the article. Thus, we have firm ground on which to argue that in 20:8 John is repeating his previous accounts of the final battle in 19:19 and 16:14 . A second feature of John’s narration in 20:8 stands out to confirm that 20:8 ; 19:19 ; and 16:14 all speak of the same battle. It should not escape our notice that, when writing about the Gog-Magog revolt in 20:8 , John uses precisely the same wording he uses in connection with the Armageddon revolt in 16:14 and virtually the same wording he uses in 19:19 (N.B. 16:14 , συναγαγειν ατος ες τν πόλεμον , “to gather them for the battle”; 19:19 , συνηγμένα ποιησαι τν πόλεμον , “gathered to wage the battle”; 20:8 , συναγαγειν ατος εις τν πόλεμον , “to gather them for the battle”). 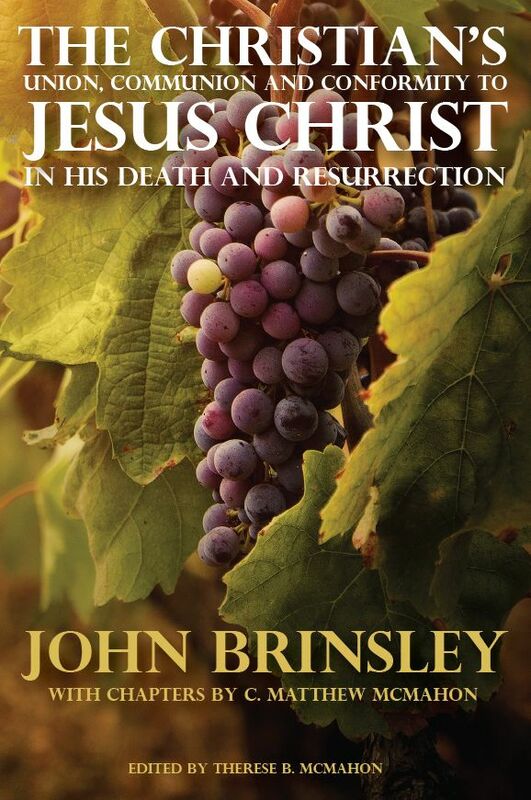 In 16:14–16 , of course, most interpreters agree that John is describing preparations for the battle on the great day of Christ’s second coming (cf. 16:15a ). That this is the case is made especially clear when we observe John describing those preparations again in the second coming scene of 19:19–21 . Thus, when we notice the obvious verbal parallelism between 16:14 ; 19:19 ; and 20:8 , we are compelled to interpret John’s reference to “ the battle” in 20:8 as “the battle” in 16:14 and 19:19 , i.e., as the age-ending battle at Christ’s return. Once again, it seems clear that at its core the story John tells in 20:7–10 is the same story he told in 19:11–21 and 16:14–16. The preceding line of argument has important consequences for the postmillennial and premillennial approaches to 19:11–20:10 . On the one hand, it indicates that postmillennialists are off course when they interpret 19:11–21 as a reference to the interadvent warfare between Christ and the nations rather than the age-ending battle at Christ’s second advent. On the other hand, it suggests premillennialists are on the wrong track when they exegete 20:7–10 as a reference to a battle between God and the nations following the climactic battle at Christ’s return. The parallelism of “the battle” references in 19:1121 and 20:7–10 , not to mention 16:12–16 , directs us to the correct path: we should regard 19:11–21 and 20:7–10 as parallel accounts of Christ’s second coming. More evidence favoring the recapitulation of 19:11–21 in 20:7–10 is found by reflecting on the implications of 15:1. In that text, we read that John “saw in heaven another great and marvelous sign: seven angels with the seven last plagues—last, because with them God’s wrath is completed” (NIV). In other words, according to 15:1 the dispensing of the bowl plagues will bring an end to God’s wrath against the unbelieving world in history. To appreciate the bearing of 15:1 on the interpretation of 19:11–20:10 , we need to remember that Christ’s wrath against the Armageddon rebels in 19:19–21 concludes the plot line that was dropped in 16:16 and thus must (more or less) coincide with the last plague of God’s wrath in 16:17–21 . This coincidence of 19:19–21 with 16:17–21 means that Christ’s wrath in 19:11–21 falls within the time frame which 15:1 established for the completion of God’s wrath. We can now assess the impact of 15:1 on our interpretation of how 19:11–21 relates to 20:7–10 . In short, the implications of 15:1 tell us that we cannot follow the premillennialists in their interpretation of 19:11–20:10 . If we read the visions of 19:11–20:10 as premillennialists do, we are, of course, bound to place God’s wrath against the Gog-Magog rebels in 20:7–10 after Christ’s return in 19:19–21 and 16:1721. But, by doing this, we contradict the clear intent of 15:1 . For we cannot place the outpouring of God’s wrath on Gog-Magog and Satan after Christ’s return without exceeding the deadline set for the completion of God’s wrath in 15:1 . On the other hand, if we read 20:7–10 as a recapitulation of the events in 19:11–21 , we gain what we would lose by reading 19:11–20:10 as premillennialists do: God’s wrath against the Gog-Magog rebels in 20:7–10 falls within the time frame which 15:1 established for the cessation of his wrath and thus coincides with Christ’s wrath against Babylon and the Armageddon rebels in 16:17–21 and 19:19–21. Still more evidence favoring the recapitulation of 19:11–21 in 20:7–10 comes from considering the contents of the visions in 6:12–17 ; 16:17–21 ; 19:11–21 ; and 20:9–11 . In the likeness of OT divine warfare scenes, each of these passages contains references to the cosmic shaking that accompanies the advent of the Divine Warrior-Judge. The sixth seal of 6:12–17 describes a judgment of cosmic proportions at Christ’s return. The sufferers of the judgment perceive the approach of the Divine Judge and the Warring Lamb (vv 16–17 ) in the darkening and rending of the heavens (vv 12–14 ) and the disintegration of the earth (vv 12 , 14 ). The cosmic dimensions of eschatological divine warfare are thus evident in 6:12–17 . The judgment of the seventh bowl in 16:17–21 also reaches cosmic dimensions. As John again witnesses the disintegration of the earth (vv 18 , 20 ; cf. 6:14 ), he also beholds the fall of the cosmopolis, Babylon, and the cities of the nations (v 19 ). We have already observed the chronological linkage of John’s vision of Christ’s coming in 19:1121 and his vision of the catastrophe in 16:17–21 . At this point we observe the thematic linkage of those visions: as part of the complex of divine warfare imagery, the breakup of the earth and its cities in 16:17–21 accompanies the advent of Jesus Christ the Divine Warrior in 19:11–21 . In 20:11 John again highlights the cosmic consequences of the Divine Warrior’s theophany alluded to in 20:9–10 . In an account remarkable for its terse narration of some of the most extraordinary developments in cosmic history, John refers to the disappearance of heaven and earth that occurred at the appearance of the Divine Judge. In fact, the Divine Warrior’s presence can be discerned in 20:9 , for among the weapons used by the Divine Warrior is the fire that consumes his enemies (see, e.g., Ezek 38:22 ; 39:6 , 9–10 ; Ps 46:9 ; 76:3 ). Thus, again in 20:9–11 , we have evidence of the pattern we saw in 6:12–17 ; 16:17–21 ; and 19:11–21 , viz., cosmic destruction attends the arrival of the Divine Warrior-Judge. As we reflect on the content of these accounts, we find compelling evidence that the scenes of cosmic destruction in 16:17–21 and 19:11–21 recapitulate the vision of cosmic destruction in 6:12–17 . In both contexts John tells us of the disintegration of the earth ( 6:14 ; 16:20 ), the arrival of the great day of divine wrath ( 6:17 ; 16:14 ; 19:15 ), and the appearance of Jesus Christ, the Divine Warrior-Judge ( 6:16 ; 19:11–16 ). While each account has its unique features, few will challenge the idea that the common features warrant the conclusion that these passages describe the same episode from complementary vantage points. There is then evidence sufficient to view 16:17–21 and 19:11–21 as recapitulations of 6:12–17 . Interestingly, we also find compelling evidence that the record of cosmic disappearance at the Divine Warrior’s theophany in 20:9–11 recapitulates the record of cosmic destruction at Christ’s return in 6:12–17 . While 6:12–17 is obviously more detailed than 20:9–11 , the crucial elements are identical. As he describes the two scenes, John speaks of the breakup of heaven ( 6:12–14 ; 20:11 ) and earth ( 6:14 ; 20:11 ) at the arrival of the Divine Warrior-Judge ( 6:16 ; 20:9 , 11 ). The sameness of the fundamental elements in 6:12–17 and 20:9–11 , viz., cosmic destruction and Divine Warrior-Judge theophany, favors the conclusion that the latter is an abbreviated recapitulation of the former. If then 16:17–21 ; 19:11–21 ; and 20:9–11 all recapitulate Christ’s second advent in 6:12–17 , we may conclude with good reason that 16:17–21 ; 19:11–21 ; and 20:9–11 are each parallel accounts of Christ’s return in their own right. The later abbreviated version in 20:9–11 evidently recapitulates the earlier, more detailed versions in 19:11–21 ; 16:17–21 ; and 6:12–17 . This conclusion, of course, calls into question the postmillennial and premillennial interpretations of 19:11–20:10 (11). The verbal and thematic parallels between 19:11–21 and 20:7–10 (11) indicate that the two passages have the second coming in view and thus that 20:7–10 (11) is a recapitulation of 19:11–21 . One objection to the preceding line of argument could be that the similarity of the versions does not prove their identity. That objection would be fair enough. But those who would argue thus must be prepared to produce the dissimilarities that preclude identity. In this instance, it is virtually impossible to imagine a counterargument that would not be based on the assumption of historical progression from 16:17 / 19:11 through 20:11 . That assumption would, of course, require us to see the incidence of cosmic destruction and re-creation at two junctures in the future: one before the millennium ( 16:18–21 ) and another after the millennium ( 20:8–9 ). Such a notion is no idle speculation. For, since the premillennial interpretation of 19:11–20:10 places a destruction of heaven and earth at Christ’s return before the millennium, a re-creation of heaven and earth before the millennium becomes both a historical and theological necessity; otherwise, the judgment from heaven against the rebels on earth in 20:8–9 lacks cogency. Two factors, however, argue convincingly against this notion, one from within Revelation itself and the other from the Epistle to the Hebrews. The first factor restates the earlier reflections on the implications of 15:1 , but here we want to focus on the matter of cosmic destruction, not the cessation of divine wrath. The observation concerns the fact that, if we read 19:11–20:11 as premillennialists do, we are bound to place the cosmic destruction entailed in God’s wrath against Gog and Magog ( 20:9 , 11 ) after God’s wrath had already ended with the cosmic destruction at Christ’s return ( 19:11–21 ; 16:17–21 ; 6:12–17 ). This interpretation, of course, contradicts the clear implications of 15:1 . The cosmic destruction entailed in God’s wrath in 20:9 , 11 cannot occur after the cosmic destruction entailed in Christ’s wrath in 19:11–21 et al. without exceeding the time frame set for the termination of God’s wrath in 15:1 . On the other hand, when we understand 20:9–11 as an abbreviated recapitulation of 19:11–21 et al., we gain what we would lose by reading 19:11–20:11 as premillennialists do: the cosmic destruction entailed in God’s wrath against Gog-Magog in 20:7–11 will occur in accord with the time frame implied in 15:1 and is, in fact, the same cosmic destruction that accompanies Christ’s second coming in 19:11–21 and 16:17–21 and their parallel in 6:12–17 . It is clear that, in the context of Hebrews 12 , the author quotes from Haggai’s prophecy ( 2:6 ) to compare and contrast the cosmic consequences of the Divine Judge’s appearances at Sinai and at the end of the age. But the author’s statement in v 27 makes a contribution to our present concern as well. For, by asserting that nothing shakable will remain after the cosmic destruction to come, the author leaves no doubt that that “once more” occurrence of cosmic shaking will be the final one. In other words, given the implications of the author’s claim in v 27 , there can be but one instance of cosmic shaking before the unshakeable state (v 28 ) appears. By contrast, the premillennial approach to Rev 19:11–20:11 requires us to see not one, but two occurrences of cosmic shaking in the future: once before the millennium and once after the millennium. It should be obvious that the premillennial approach to Rev 19:11–20:11 does not do justice to the eschatological implications of Heb 12:26–27 ( Hag 2:6 ). The only approach that does so is the one that interprets the account of cosmic destruction in 20:9–11 as an abbreviated recapitulation of the cosmic destruction in 19:11–21 and 16:17–21 and the parallel in 6:12–17 . The question we have been seeking to answer in this section has been, Does 19:11–20:10 indicate a chronological progression from beginning to end, or does 20:7–10 recapitulate 19:11–21 and its parallels? By now it should be clear that there is ample and compelling evidence to support the claim that 20:7–10 recapitulates 19:11–21 and its parallels, especially the parallel in 16:12–21 . With the factors that led me to this conclusion in view, let me close this section by paraphrasing the remarks that someone else has made concerning the visions of 19:19–20:10. Seeing that the vision of 20:7–10 recapitulates 16:12–21 and 19:11–21 , we should take the three scenes as three literary tableaux portraying the same event with a similar emphasis, first from the combined perspective of the Lamb’s antagonists in 16:12–21 and then from separate perspectives in 19:11–21 (the beast and the false prophet) and 20:7–10 (the dragon). By reading 16:12–21 ; 19:11–21 ; and 20:7–10 in this way, we have the advantage of seeing draconic Satan judged along with his agents, a scenario decidedly more suited to the evidence than any other. Consequently, we should not look upon 20:7–10 as the last of a series of events that develop in the way John lines them up in 19:11–20:10 . Rather, we should look upon the succession of events in 19:11–20:10 as a purely literary one and the vision in 20:7–10 as, in reality, a recapitulation of 19:11–21 and its parallels, especially the parallel in 16:12–21 . Now that we have considered the positive. evidence demonstrating the recapitulation of 19:11–21 in 20:7–10 , let us take up corroborative evidence of this interpretation by considering the function of angelic ascent and descent in the book of Revelation. It is important to bear in mind that this discussion does not prove recapitulation in chap. 20, but it does support that approach when taken in conjunction with factors such as the recapitulation of 19:11–21 in 20:7–10 . The support I shall now discuss consists in seeing that, consistent with the function of angelic ascent-descent elsewhere in Revelation, the angel’s descent in 20:1 initiates a recapitulatory visional sequence which has its beginning in a setting prior to Christ’s second coming in 19:11–21 and its ending in a setting more or less coincident with that event. The first reference to angelic ascent-descent in John’s visions occurs in 7:2 where he describes the activities of an angel as it ascends from the east. In the context, we find ourselves introduced to a sequence of two visions. The first of these visions ( 7:1–8 ) depicts the saints’ earthly condition, and the second ( 7:9–17 ), their heavenly condition, during the time of eschatological judgment. Let us consider these visions more closely. As for the opening vision in 7:1–8 , it looks back in the actual development of history to reveal the precautions taken to protect God’s servants on earth from the judgment meted out in 6:1–17 ( 7:2–3 ; cf. 9:4 ). The vision of 7:9–17 , on the other hand, apparently moves on from the historical setting of 7:1–8 to the heavenly bliss of disembodied servants. The servants’ presence before God’s throne and their service in his temple favor the view that they are at rest in the intermediate state (cf. 6:9–11 ; 8:3–4 ; 14:13 ). The view that they are in the eternal state  is literarily and grammatically less satisfactory. Literarily, this view detracts from the dramatic resolution achieved when the Lamb breaks the last seal in 8:1 . This point is especially forceful if we understand the silence in 8:1 as silence in the presence of the Divine Warrior-Judge who has roused himself from his holy habitation to execute judgment (cf. Zech 2:13 ). The presence of the Divine Warrior is suggested further by the phenomena that follow the angel’s casting of the fire-filled censer to earth ( 8:5 ): thunder, lightning, and earthquake are all well-known natural disturbances that accompany the παρουσία of the Lord (N.B. the Sinai theophany). It is therefore highly probable that what we have in the seventh seal is a description, albeit indirect, of the theophany of the Divine Warrior that marks the end of the present age and precedes the eternal state. The placement of such a vision after a vision of the eternal state in 7:9–17 would be rather anticlimactic, if not regressive, in the cycle of the seal judgments. Literarily, then, the vision of 7:9–17 is best understood as a depiction of disembodied servants at rest in the intermediate state. Grammatically, the view that the servants are in the eternal state complicates unnecessarily the simplicity of the present (durative) and future (predictive) tenses in 7:15–17 . Those tenses may be taken quite simply and very credibly as indicating the present (thus, intermediate) experience (v 15a -b) and the future (thus, eternal) experience (vv 15–17 ) of those who, steadfast in the face of death, emerged victorious from the great θλιψις ( 7:14 ; cf. 2:10 ; 6:9 ; 12:11 ; 15:4 ). The view that the saints are depicted in the intermediate state in 7:9–17 , then, lends the merit of simplicity to the interpretation of the present and future tenses in 7:15–17 . From literary and grammatical points of view, then, the setting of 7:9–17 is best interpreted as the heavenly rest of disembodied servants who await the eternal rest that follows the advent of their Divine Avenger in all his theophanic glory. The setting of 7:9–17 is thus coincident with that of the fifth seal ( 6:9–11 ) where John has also seen disembodied saints. The importance of the preceding observations for our present concern is that the angel’s ascent in 7:2 can be seen to initiate a visional sequence which temporarily suspends historical progress in the seal cycle and introduces a recapitulatory interlude. The interlude begins by looking back to a point in history before the seal cycle and ends by moving forward to a point in history contemporaneous with the fifth vision ( 6:9–11 ) in the seal cycle. The vision of the angel declaring the imminence of the end unmistakably relates to the time after the events of the sixth trumpet have taken place and immediately before the seventh trumpet sounds [see 10:1–7 ; 11:15 ]…. The standpoint of chapter 11 , however, is the same as that of the vision of chapter 7 , immediately prior to the onset of the trials which conclude this age and usher in the next. The recapitulation in 11:1–13 may be discerned by keeping in mind two things: (1) the timetable of divine vengeance and (2) the character of the trumpet cycle as divine vengeance. The timetable of God’s vengeance is mentioned in the fifth seal of the seal cycle. In 6:9–10 , martyred saints lament the delay in God’s avenging of their blood against their persecutors. In 6:11 , God answers the martyrs, telling them of his timetable for avenging their blood: “they were told that they should rest for a little while longer, until the number of their fellow servants and brethren who were to be killed as they had been should be completed.” In effect, then, it is said that episodes of martyrdom will end before vengeance is taken against the martyrs’ persecutors, presumably in the sixth and seventh seals (N.B. 6:15–17 ; 8:3–5 ). The relevance of this timetable of divine vengeance to the matter of recapitulation in 11:1–13 should be clear. Inasmuch as an episode of martyrdom occurs at the end of the prophets’ mission in chap. 11, we must conclude that the events of 11:1–12 will precede the time of God’s vengeance on behalf of the martyrs, in particular, the vengeance he carries out in the sixth and seventh seals. We must also conclude that the event in 11:13 will evidently not precede the time of divine vengeance since it is an act of divine vengeance. The consideration just concluded helped us clarify the relation of 11:1–13 to the timetable of God’s vengeance in 6:11 and the remainder of the seal cycle. But we need to clarify the relation of 11:1–13 to the trumpet cycle. In this connection, we should recall the widely acknowledged likeness of the trumpet cycle to the plagues on Egypt (see Exodus 7–10 ). The parallels between the plagues in the trumpet cycle and the plagues in Exodus 7–10 are not the only comparable features. More striking for our purpose is the function that the plagues played in the context of God’s judgment of Egypt: the plagues on Egypt were part of God’s answer to Israel’s cries for vengeance against their oppressors ( Exod 2:23–25 ; 3:6 , 9 ; 6:5 ). The correspondence to the trumpet cycle is implicit, but irresistible: the trumpet cycle is, like the plagues on Egypt, part of God’s answer to the cry of the martyrs for vengeance in 6:9–11 . From their functional likeness to the Egyptian plagues and their thematic linkage to divine vengeance for the martyrs, then, we can see that the trumpet judgments fulfill the same purpose as the sixth and seventh seals: they answer the martyred saints’ prayers for vengeance in 6:11 . From the preceding points we gain an insight into the relation between the trumpet cycle and the events of 11:1–13 . Insofar as the trumpet plagues avenge the victims of martyrdom, the trumpet cycle must actually follow the episode of martyrdom and its attendant circumstances in 11:1–12 . Moreover, the earthquake of 11:13 , presumably an act of vengeance on behalf of the martyred prophets, should probably be taken as coincident with the execution of vengeance in the early phases of the trumpet cycle. Therefore, when considered in relation to the trumpet cycle up through 9:21 , the events of 11:1–13 must begin at a point in history prior to the first trumpet in 8:7 and end at a point in history contemporaneous with the earlier stages of the trumpet cycle. Thus, we may conclude that the angel’s descent in 10:1 , like the angel’s ascent in 7:2 , signals an intermission in the trumpet cycle to introduce a retrospective interlude that has its beginning in a setting before the first trumpet and its ending in a setting coincident with the earlier trumpets. We now come to the angel’s descent in 18:1 . Again we find the basic, if not precise, pattern we observed in 7:2 and 10:1 . Sustaining the suspension of progress begun in chap. 17, the angel’s descent initiates a visional sequence that reveals the reactions of those who will witness the downfall of Babylon as depicted in 16:17–21 . The historical standpoint assumed in 18:1–24 is predominantly recapitulatory. The words spoken in 18:1–24 assume a historical setting prior to the events of 16:17–21 . This assertion is borne out by the following observations. 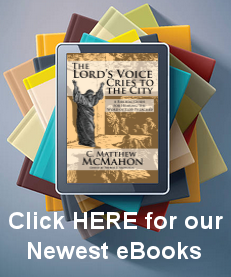 As the voice from heaven in 18:4–8 calls for separation from and judgment against Babylon, the city’s demolition in 16:17–21 is clearly viewed as an event to look forward to, not as an event to look back on. That viewpoint is maintained in 18:9–17a as the voice from heaven predicts the mourning of kings and merchants over Babylon’s judgment, thus regarding the bowl plague of 16:17–21 as a future, not past, event. The prophesying angel in 18:21–24 takes the same perspective: the Babylon of v 21 is not a cosmopolis razed by the violent overthrow of 16:19 , but a cosmopolis ripe for the violent overthrow of 16:19 . Thus, in 18:4–17a and 18:21–24 there is a discernible recapitulatory viewpoint that takes us back in the actual development of history to a time before the events of 16:17–21 . The clear recapitulatory viewpoint of 18:4–17a and 18:21–24 disposes us to understand the remaining verses of chap. 18 in a proleptic fashion. The historical standpoint assumed by the angel in 18:2–3 is thus identical to the one assumed by the angel in 14:8 . The angel’s exultation in 14:8 treats Babylon’s downfall as if it had already taken place, in spite of the fact that it does not occur until the vintage in 14:14–20 . Likewise, the angel’s exultation in 18:2–3 treats Babylon’s future fall as if it had already taken place. The same proleptic viewpoint explains why in the seafarers’ mourning of 18:17b–19 and the exhortation of 18:20 Babylon’s judgment is regarded as if it had already occurred. With the angel’s prophecy in 18:21–24 the visional sequence initiated in 18:1 comes to an end. The words “after these things” in 19:1 introduce a new sequence of auditions and visions celebrating the triumph of God and the salvation of the faithful in the judgment of Babylon. The historical standpoint assumed in 18:1–24 , one anticipating the judgment of Babylon, is thus no longer assumed in 19:1–10 . The joy proleptically enjoined in 18:20 is being expressed in 19:1–10 . Clearly, then, John’s narrative in 19:1–10 has transported his readers from a historical setting preceding Babylon’s fall in 16:17–21 to the historical setting immediately following it. The cumulative effect of the preceding observations concerning the visions of chap. 18 is to confirm the basic pattern we saw in the visions of chaps. 7 and 10–11 . Specifically, the content of chap. 18 confirms that the visional sequence initiated by the angel’s descent in 18:1 takes us back to a point in history before the fall of Babylon in 16:17–21 . In chap. 18 we are not taken forward to a point contemporaneous with the events of 16:17–21 . But, as we move into chap. 19, it is clear that John has moved us forward to a point in history after the fall of Babylon. Thus, though the precise pattern we saw in the content of chaps. 7 and 10–11 does not obtain in chap. 18, we do see once again how an angel’s descent in Revelation is associated with the recapitulation, not the progress, of historical events in the visional sequence. The remaining instance of angelic ascent-descent in Revelation occurs, of course, in 20:1 . Consistent with the previous examples of such angelic activity, we expect to find that what follows the angel’s descent in 20:1 is a recapitulatory sequence of visions having its beginning in a setting prior to the Lord’s return in 19:11–21 and, as the evidence warrants it, its ending in a setting more or less coincident with that event. Indeed, in preceding sections, we have seen evidence to confirm those expectations. We have found decisive evidence that the cosmic judgment against the nations in 20:7–10 recapitulates the cosmic judgment against the nations in 19:11–21 and, for that matter, in 16:17–21 . Accordingly, we know that 20:1–10 constitutes a recapitulatory sequence of visions having its ending ( 20:7–10 ) in a setting contemporaneous with Christ’s coming in 19:11–21 and, presumably, its beginning ( 20:1–6 ) in a setting before that event. To be sure, it remains for advocates of recapitulation to correlate the events in 20:1–6 with events in previous visions as we were able to do with the visions of chaps. 7 , 10–11 , and 18 . But that question deserves a treatment of its own. For now it must suffice to observe that the proposed recapitulation of 19:11–21 in 20:7–10 finds striking corroboration in the patterns associated with the motif of angelic ascent and descent in Revelation. Evangelical theologians have long recognized that, before they can agree on the theological significance of Rev 20:1–10 , they will have to agree on an answer to the question, Is the relationship between Rev 20:1–10 and Rev 19:11–21 one of progression or recapitulation? Recent offerings in eschatology make it plain that scholars have still not reached a consensus on this question. Unfortunately, those same contributions indicate significant stagnation in the debate, for despite the lack of consensus, it has become all but impossible to find anything new or challenging on the question. In an effort to break out of that mold, I have proposed that we reexamine the evidence for recapitulation in Rev 20:1–10 . As carried out here, that reexamination has yielded three lines of argument in favor of recapitulation: (I) the discrepancy between the events depicted in Rev 19:11–21 and Rev 20:1–3 ; (2) the recapitulation of Rev 19:11–21 in Rev 20:7–10 , and (3) the motif of angelic ascent and descent in Revelation. While these arguments point to the correctness of associating both the Gog-Magog revolt in 20:7–10 and the Armageddon revolt in 19:11–21 with Christ’s second coming, they also perform another service: they constitute substantial evidence that 20:1–6 is a visional sequence, not chronicling events after the second coming, but recapitulating events before it. While this latter point will have to be developed in another study, I would suggest that careful consideration of the points treated here will rejuvenate, if not settle, the scholarly debate over how Rev 20:1–10 relates to Rev 19:11–21 . 1. For the postmillennial approach to 19:11–20:10 , see, e.g., B. B. Warfield, “The Millennium and the Apocalypse,” Biblical Doctrines (New York: Oxford, 1929) 643–64; J. E. Adams, The Time is at Hand (Philadelphia: Presbyterian and Reformed, 1970) 80–95; and D. Chilton, The Days of Vengeance: An Exposition of the Book of Revelation (Tyler, TX: Dominion, 1987) 481–529. (N.B. Warfield’s millennial position may be disputed, but the influence of his essay among postmillennialists is indisputable.) 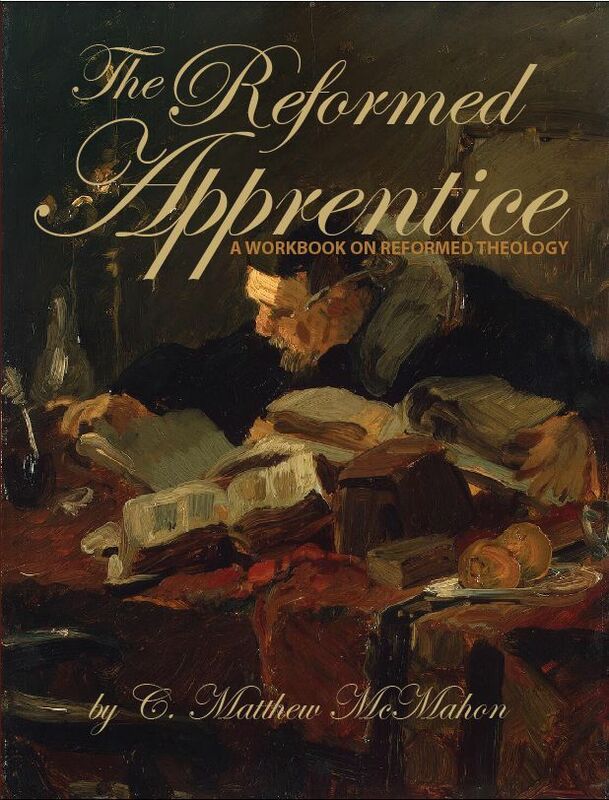 For the premillennial approach to 19:11–20:10 , see, e.g., J. F. Walvoord, The Revelation of Jesus Christ (Chicago: Moody, 1966) 289–90, and G. E. Ladd, A Commentary on the Revelation of John (Grand Rapids: Eerdmans, 1951) 259–63. 3. See, e.g., W. Hendriksen, More than Conquerors (Grand Rapids: Baker, 1939) 221–23. 4. E.g., J. F. Walvoord, “The Theological Significance of Revelation 20:1–6 , ” Essays in Honor of J. Dwight Pentecost (ed. S. D. Toussaint and C. H. Dyer; Chicago: Moody, 1986) 227–29, and A. A. Hoekema, The Bible and the Future (Grand Rapids: Eerdmans, 1979) 223–26. Walvoord’s essay rehearses arguments that appeared in his commentary (see n. 1) over twenty years ago, while Hoekema’s discussion relies on previous work by Hendriksen and others from roughly the first half of this century. Similarly, recent postmillennialists like Adams and Chilton have not advanced their case any farther than Warfield did in 1929. 5. Note that in 19:19–21 John resumes and concludes the plot line he began but dropped in 16:12–16 . This connection will be discussed in greater detail below. 6. According to R. A. Ostella (“The Significance of Deception in Revelation 20:3 , ” WTJ 37  236–38), the deception interrupted by the dragon’s imprisonment in 20:1–3 includes the deception that provoked the Armageddon revolt in 19:11–21 . The dragon’s confinement must therefore be subsequent to the revolt of 19:11–21 . Ostella’s argument is based on an assumption he nowhere proves, viz., the order in which the visions of 19:11–20:3 are presented reflects the sequence in which the events they depict will occur in history. In other words, Ostella simply assumes that, because the vision of 20:1–3 follows those of 19:11–21 in John’s presentation, the events of 20:13 must therefore follow those of 19:11–21 in history. As we shall see, this assumption has no sufficient basis in the text and thus neither does Ostella’s thesis. 7. See n. 1 for relevant bibliography on this point. 8. Warfield, “The Millennium,” 645. Adams ( The Time is at Hand 80-82) and Chilton ( The Days of Vengeance 481-82, 485, 491–92) evidently accept Warfield’s understanding of the way the recapitulation principle works in Revelation. 9. E.g., C. R. Beasley-Murray, Revelation (NCB; Grand Rapids: Eerdmans, 1981) 28283, and R. H. Mounce, The Book of Revelation (NICNT; Grand Rapids: Eerdmans, 1977) 353. 10. Beasley-Murray, Revelation 283; and Mounce, Revelation 353. Cf. the solutions of W. Bousset, Die Offenbarung Johannis (Göttingen: Vandenhoeck & Ruprecht, 1896) 504 and G. B. Caird, A Commentary on the Revelation of St. John the Divine (HNTC; New York/Evanston: Harper & Row. 1966) 251–52. Whether the survivors of Armageddon are believers or not is a matter of considerable debate among premillennial interpreters of 19:11–20:10 . While I cannot go into that debate here, I would point out that, whichever view the premillennialist adopts, the claim that there will be survivors of Armageddon becomes important as a way for him to explain the presence of the rebel nations in 20:8 after all rebels were (at least ostensibly) removed in 19:11–21 . Specifically, the rebel nations are present in 20:8 because they are the descendants of the surviving nations in 20:3 . In the premillennialist’s speculation, then, the postulate of survivors at the second coming explains the presence of the nations in both 20:3 and 20:8 . 11. Cf. E.-B. Allo, Saint Jean: L’Apocalypse (3rd ed. ; EBib; Paris: Gabalda, 1933) 326. Ironically, amillennialists and pretribulational premillennialists agree on this point. See, e.g., J. F. Walvoord, The Blessed Hope and the Tribulation (Grand Rapids: Zondervan, 1976) 84. 12. J. S. Deere, “Premillennialism in Revelation 20:4–6 , ” BSac 135 (1978) 60. Deere closes the section at 20:15 instead of 20:10 , but this is of no consequence for the question of recapitulation. It is also worth noting that Deere (pp. 60-61) argues for chronological sequence in 19:11–20:6 by appealing to the parallel sequence in Daniel 7 . In his argument, however, Deere simply presumes the congruency of 19:11–21 and 20:1–3 and, for that matter, overlooks the repetition of the Daniel 7 sequence in 20:7–22:5 (a repetition suggesting the recapitulation of 19:11–21 in 20:7–10 ). 13. J. T. Townsend, “Is the Present Age the Millennium?” BSac 140 (1983) 213. 14. R. Bauckham, “The Eschatological Earthquake in the Apocalypse of John,” NovT 19 (1986) 228–29 begin_of_the_skype_highlighting 19 (1986) 228–29 end_of_the_skype_highlighting. 15. The vision of 20:7–10 is, of course, interpreted by postmillennialists as a reference to the second coming, if for no other reason than that it is followed by a vision of the final judgment in 20:11–15 . Consequently, once we see evidence of parallelism between 19:11–21 and 20:7–10 , the only viable alternative to the postmillennialists’ understanding of these passages is to interpret both as depictions of the second coming. It would not be a viable alternative, for example, to take both 19:17–21 and 20:7–10 as parallel accounts of the judgment of second temple Jerusalem, as long as 20:11–15 is understood as a vision of the final judgment. 16. See, e.g., R. H. Alexander, “A Fresh Look at Ezekiel 38 and 39 JETS 17 (1974) 157–69 begin_of_the_skype_highlighting 17 (1974) 157–69 end_of_the_skype_highlighting. 17. Chilton ( The Days of Vengeance , 407-12, 491–92) overlooks the connection between 16:12–16 and 19:19–21 . Consequently, he understands “the battle” in 16:14 as a reference to God’s judgment of second temple Jerusalem and “the battle” in 19:19 as a reference to the war Christ wages against the nations through the preaching of the gospel. 18. Such uses of the article are, of course, known among grammarians as the “anaphoric” use, i.e., the use of the article to denote a term previously mentioned. 19. Cf. J. A. Hughes, “ Revelation 20:4–6 and the Question of the Millennium,” WTJ 35 (1973) 282–83 and Allo, L’Apocalypse 258, 326. 20. I am indebted to Dr. V. S. Poythress for bringing this argument from 15:1 to my attention, but I am responsible for the way it is developed here. 21. God’s wrath, of course, continues interminably in eternity. John’s statement applies to divine retribution in history. 22. The point made here from 15:1 could also be made from 10:7 , where John is told that in the days when the seventh trumpet sounds, “the mystery of God would be accomplished.” “The mystery of God” in this context evidently includes God’s work of vengeance in the trumpet cycle ( 11:15 ). 23. See L. J. Greenspoon, “The Origin of the Idea of Resurrection,” in Traditions in Transformation (eds. B. Halpern and J. D. Levenson; Winona Lake, IN: Eisenbrauns, 1981) 247–321, and T. Longman III, “The Divine Warrior: The New Testament Use of an Old Testament Motif,” WTJ 44 (1982) 299–300. 24. Chilton ( The Days of Vengeance , 196-99) interprets 6:12–17 as a reference to the destruction of second temple Jerusalem in AD 70, not to the destruction of the present creation at Christ’s return. While Chilton’s thesis is provocative, it fails to convince because he nowhere takes into account the parallels between 6:12–17 and 20:9–11 , the latter of which he acknowledges is the cosmic destruction at Christ’s return (ibid., 525–26, 531). 25. Cf. Matt 24:29–30 ; Mark 13:24–26 ; Luke 21:25–27 ; Heb 12:26–27 . N.B. The displacement of “every mountain and island” (v 14 ) by the earthquake (v 12 ) is only intelligible as synecdoche for the disintegration of the earth. 26. As he does with 6:12–17 , Chilton ( The Days of Vengeance , 409, 412–19) sees in 16:17–21 a reference to the destruction of Jerusalem in AD 70, not to the destruction of the present creation at Christ’s second coming. Again, Chilton’s thesis is provocative, but it fails to convince because he ignores the parallels between the catastrophe in 16:17–21 and the cosmic destruction in 20:9–11 . 27. The comparability of 6:15 and 19:18 is also observed by Bousset, Die 0ffenbarung , 321. Interestingly, in line with our discussion of John’s use of Ezekiel 38–39 above, Bousset (ibid.) identifies Ezek 39:17–20 as the Vorbild for 6:15 . 28. We cannot interact at length here with the exegesis of Heb 12:25–29 offered by J. Owen, An Exposition of the Epistle of the Hebrews (Edinburgh: T. & T. Clark, 1855; reprint ed., 7 vols. ; ed. W. H. Gould; Grand Rapids: Baker, 1980) 366–67. Owen argues that the cosmic shaking mentioned in the passage concerns the removal of the old covenant kingdom and worship (“things shakeable”) and the establishment of the new covenant kingdom and worship (“things unshakeable”). Owen’s interpretation lacks sufficient exegetical grounding to make it credible. 29. P. Gaechter (“The Original Sequence of Apocalypse,” TS 10  483–521) wrote concerning the interpretation of 19:19–20:10 : “Seeing that the undoing of the beast and its pseudo-prophet is told along the same lines as that of Satan himself, we should take the two scenes ( 19:19–21 and 20:7–10 ) as two literary tableaux which exhibit the same object under different aspects…. The succession of events from 19:19 to 20:10 is a purely literary one, and therefore not to be understood as representing the actual development of historical events” (“The Original Sequence,” 487). C. Rowland also speaks of the “apparent doublets in 19:11ff . and 20:11ff .” ( The Open Heaven: A Study of Apocalyptic in Judaism and Early Christianity [New York: Crossroad, 1982] 417, emphasis mine). 30. Beasley-Murray, Revelation , 139-42; Caird, Revelation , 93-94; and M. Kiddle, The Revelation of St. John (MNTC; London: Hodder & Stoughton, 1940) 129–37. 31. Cf. Kiddle, Revelation , 137-43, and R. H. Charles, A Critical and Exegetical Commentary on the Revelation of St. John (ICC; 2 vols. ; New York: Scribner’s Sons, 1920) 1.209-18. 32. See, e.g., Beasley-Murray, Revelation , 148; and H. B. Swete, Commentary on Revelation (London: Macmillan, 1911; reprinted, Grand Rapids: Kregel, 1977) 99–106. 33. See Bauckham, “The Eschatological Earthquake,” 224–228. 34. Cf. Beasley-Murray, Revelation , 168-76. 36. See, e.g., Caird, Revelation , 113, 115. 37. See the discussion of John’s technique of interlocking by Collins, The Combat Myth , 16-19. 38. A. Y. Collins, The Apocalypse (New Testament Message 22; Wilmington, DE: Michael Glazer, 1979) 55. See also her comments in The Combat Myth , 17. 39. The earthquake in 11:13 is probably to be placed before the sixth trumpet, lest we have a contradiction between the recalcitrance of the sixth trumpet survivors in 9:21 and the repentance of the earthquake survivors in 11:13 . It is possible, however, that the ascription of glory to Cod in 11:13 does not necessarily imply repentance (cf. 5:13 , where every creature—evidently not just the repentant—ascribes glory to God). If such is the case in 11:13 , the fear and glorification of Cod expressed by the earthquake survivors would involve their terror at the realization that glory does indeed belong to the Cod of heaven who avenges the righteous and judges all the earth (e.g., Kiddle, Revelation , 206). Nevertheless, because John’s other references to ascribing glory to Cod ( 14:7 ; 16:9 ; and 19:7 ) clearly involve repentance and willing worship, I am inclined to believe that the ascription of glory to God in 11:13 also involves those traits. See Caird, Revelation , 139-40; Swete, Revelation , 141; and Charles, Revelation , 1.291. 40. Cf. Charles. Revelation 2.85 and Swete, Revelation , 227. 41. A selected bibliography on Rev 20:1–6 appears in A. Feuillet, L’Apocalypse. Etat de la question (StudNeot 3; Paris/Bruges: Desclee de Brouwer, 1962) 98–101. Among works after 1962, see the very stimulating essay by P. Prigent, “Le millennium dans l’Apocalypse johannique,” L’apoealyptique (ed. F. Raphaël; Paris: Geuther, 1977) 139–56. See also my treatment of Rev 20:1–6 in “Victory and House Building in Revelation 20:1-21:8 : A Thematic Study” (Ph.D. dissertation, Westminster Theological Seminary, 1987) 87–105.